Info: Phuntsog, a 20-year old monk, immolated himself on March 16, the 3rd anniversary of a protest at Kirti in 2008 during which at least 10 Tibetans were shot dead. Police extinguished the flames and were seen beating Phuntsog before he died, according to Tibetan exiles in contact with Tibetans in the area. According to Tibetan exiles who spoke to a witness of the protest, before he was stopped by police Phuntsog shouted slogans including "May His Holiness the Dalai Lama live for 10,000 years!" According to the same sources, protests then broke out against the Chinese authorities involving hundreds of monks and laypeople. After an attempted peaceful march from the monastery, police broke up the protests, detaining an unknown number of monks and beating Tibetans involved. An account of the aftermath of the self-immolation: Kirti monks intervened when police were beating Phuntsog and took him back to the monastery before ensuring he received medical treatment. The Chinese authorities' official statement included the false claim that the monks "forcibly took [Phuntsog] out of the hospital." Two sources from Kirti monastery in exile told ICT: "When Phuntsog was taken back to the monastery, there was little hope of his surviving, but as he was not yet dead, there was still a chance. Without government permission, they knew the hospital would not take him. So the monks decided to give into the government so that he could be admitted to hospital. He passed away there at around 3 am local time today (March 17)." The official state media account not only gave misleading information about Phuntsog's identify, but also claims: "Shortly after he set himself on fire, a policeman on patrol found him, put out the flames and rushed him to a nearby hospital...But a group of monks from the Kirti Monastery forcibly took him out of the hospital later in the afternoon and hid him inside the monastery, regardless of his injuries." Kirti was soon placed under lockdown and monks subjected to a stringent patriotic education campaign as part of a wide-spread crackdown in Ngaba that included several hundred security personnel posted to Kirti monastery. Around 300 monks were taken away from the monastery in large trucks to unknown locations for the purpose of "legal education," and two elderly Tibetans were beaten to death by police while they were participating in a vigil at the gates of the monastery in an attempt to protect the monks during a security raid on the monastery. In an official statement released on April 29 in English, the Chinese state media claimed that the reports by the international media citing ICT on the deaths of the two Tibetans were "fictitious" and that an "86-year-old female herder died of lung disease at her home in Aba Tibetan-Qiang Autonomous Prefecture." Exiled sources from the area reported that contrary to the official report, the two people who died in their attempt to prevent monks from being moved from the monastery by armed police on April 21 were Dongko (male), aged 60, and 65-year old Sherkyi (female). The two Tibetans died after severe beatings. Dramatic footage from Ngaba was released on April 19, a month after it was taken, which refutes the Chinese government’s assertions on April 19 that the situation is "normal" and "harmonious." Kirti monk Losang Tenzin, age 22, was sentenced to 13 years imprisonment, and a Kirti monk also called Losang Tenzin (known too as Nak Ten) was sentenced to 10 years in prison by the Barkham (Chinese: Ma'erkang) County People’s Court, Ngaba (Chinese: Aba) Tibetan and Qiang Autonomous Prefecture in Sichuan province on August 30. On Monday, August 29, 46-year old Kirti monk Losang Tsondru (named in the state media as Drongdru), who was detained on April 12, was sentenced to 11 years imprisonment by the same court. All three sentences were reported in the Chinese state media, with Xinhua reporting on August 31 that the two monks sentenced on August 30 "plotted, instigated and assisted in the self-immolation of fellow monk Rigzin Phuntsog, causing his death" (Xinhua, August 31, 2011). The same article stated: "Drongdru was given the sentence because he hid the injured monk and prevented emergency treatment, causing delayed treatment and the subsequent death for his disciple and nephew, according to the verdict." On around May 2, 31-year old Kirti monk Losang Dargye of Me'uruma township was sentenced to three years in prison by the Ngaba county People’s Court. 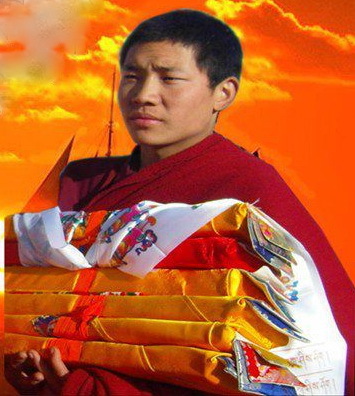 Losang Dargye became a monk at a young age, and in 2003 he travelled to Lhasa to begin higher Buddhist studies at Drepung monastery, which he completed with distinction. He is believed to have been among a group of Drepung monks who peacefully protested on March 10, 2008, and was detained for some months before being allowed to return to Ngaba. 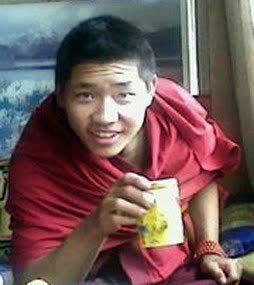 He was detained on April 11 this year in a raid by police and soldiers on his quarters in the monastery. Kirti monk Konchok Tsultrim, age 33, from the rural area of Tawa Gongma was arrested after March 16. He was sentenced around the beginning of May to three years in prison by the Ngaba county People’s Court, and is now likely to serve his sentence outside Ngaba county. Konchok Tsultrim was serving as the monastery storekeeper. Details of the exact charges against him are not known. State Department Acting Deputy Spokesman Mark Toner, in response to a question at a daily press briefing on April 14, said: "We have seen that Chinese security forces have cordoned off the Kirti monastery in Sichuan province. They've also imposed onerous restrictions on the monks and the general public. And we believe these are inconsistent with internationally-recognized principles of religious freedom and human right. We continue to monitor the situation closely, and are obviously concerned by it." Asked if the US has raised this matter with China, Toner said: "Yes, I believe we raised it with the Chinese, as we would raise any human rights concerns." On June 8, the UN Working Group on Enforced or Involuntary Disappearances (WGEID) of the UN Human Rights Council called upon the Chinese authorities "to disclose the fate and whereabouts of all those who have been subject to enforced disappearances in China, including a group of Tibetan monks whose fate or whereabouts still remain unknown."